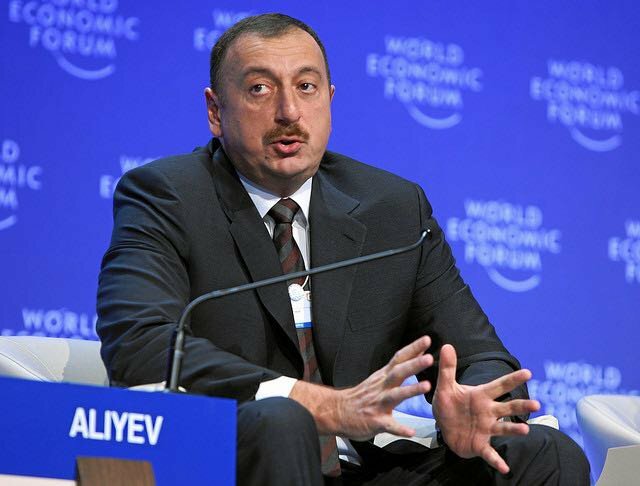 In allowing the Aliyev regime to suppress human rights and democracy, the West is hurting its own interests. Globally-recognised human rights organisations and the international media collectively deemed 2014 a year of unprecedented civil society crackdown in Azerbaijan. Political leaders, youth activists, human rights defenders, journalists, and bloggers were jailed on trumped-up charges; media outlets were shut down; and international organisations and donors were forced out of the country. Moreover, stringent laws, criminal investigations, and frozen bank accounts made it impossible for local non-governmental organisations (NGOs) to continue their activities. For now, the government enjoys a modest victory, albeit a pyrrhic one. So far, the Azerbaijani government has managed to silence its Western critics by cooperating with the U.S. and Europe on energy and security issues. However, the government’s recent clampdown has made it difficult to turn a blind eye; and it seems Azerbaijan and the West have reached a critical juncture in their relations. But what caused the Azerbaijani government’s precipitous crackdown, accompanied by anti-Western and anti-American rhetoric? Why does Azerbaijan continue to jeopardise its relationship with the West by becoming increasingly authoritarian? To answer these questions, I examined Azerbaijan’s recent events within a broader historical and geopolitical context. In May 1992, protests erupted in the capital Baku, a few months after declaring independence, when the oppositional People’s Front movement overthrew President Mutallibov, the last Moscow-appointed Communist leader of Azerbaijan. The ousted leader fled to Russia and the head of the People’s Front, orientalist scholar Abulfaz Elchibey, was elected as the new head of state; and started pursuing pro-Western policies. He envisaged a deal with Western companies to explore Azerbaijani oil fields and met with former British prime minister Margaret Thatcher in Baku to launch the cooperative initiative. Although, in June 1993, Elchibey was overthrown in a military coup backed by the Russians, former KGB general and politburo member, Heydar Aliyev, who seized power amid the chaos, continued the pro-Western policies of his predecessor. In 1994, he signed the so-called ‘Contract of the Century’ with major Western oil companies and launched the idea of a strategically-important Baku-Tbilisi-Ceyhan pipeline, which diversified Western energy routes by diverting Azerbaijani oil that once passed only through Russia. Despite a fruitful collaboration with the West, Aliyev’s shortcomings came in the form of his autocratic style of rule. Despite a fruitful collaboration with the West, Aliyev’s shortcomings came in the form of his autocratic style of rule. Yet, even here, Aliyev remained cautious. He preferred to acquiesce rather than being confrontational in his relationship with the West; and spearheaded Azerbaijan’s accession into the Council of Europe, all the while calculating his dynastic succession of power. In 2003, when Heydar Aliyev’s son Ilham became president, there was hope that the country would finally put its corrupt house in order, as happened in neighbouring Georgia under president Saakashvili. But soon, all hopes and dreams were dashed. Radio Free Europe logotype. Image by Agent021 via Wikipedia. All rights reservedThe situation deteriorated year after year. Extensive oil revenue led to the government’s complacency and ever-increasing authoritarian confidence. The Aliyevs had relied heavily on Western powers when they were weak but ever since, having sufficient cashflow, young Aliyev has become less inclined to cooperate. Azerbaijan was one of the countries that established the GUAM (Georgia, Ukraine, Azerbaijan, and Moldova) organisation for democracy and development, in 2001, but, unlike the other three members, it did not sign an association agreement with the EU. The obvious reason for this was Azerbaijan’s unwillingness to implement Western standards regarding democratic governance and human rights. The Azerbaijani government chose a different path, which was intended to secure the longevity of the regime. In late 2008, early 2009, the Azerbaijani government banned Radio Free Europe, BBC, and Voice of America from broadcasting on national FM frequencies. By then, the Azerbaijani government was in control of all TV stations throughout the country, which left independent voices without any access. The circulation of independent print media also shrank due to various restrictive measures applied by the government. These tactics were part of a bigger ploy to stifle any kind of dissent ahead of the 2009 referendum, which would lift the two-term limit on the presidency. This was followed up by preventing the political opposition from gaining seats in the legislature, in the parliamentary elections of 2010. However, unexpected developments in the country have reversed many of these ‘gains.’ In recent years, there has been an unprecedented surge in political activity due to global events, new tactics, and emerging power players. The ‘Arab Spring,’ for example, played an important role in Azerbaijan’s shifting environment by calling into question the ruling regime’s grip on power. In recent years, there has been an unprecedented surge in political activity. Another important development was the expansion of internet use and the introduction of social media, particularly Facebook, which dismantled the government’s ability to control the free-flow of information and ideas. The new tool was grasped by a new class of influential actors: the youth and emerging middle class. The Azerbaijani public witnessed more and more new popular figures entering into open debates and establishing political groups and organisations, which played a central role in public life. Civic activity fomented serious discussions about various political and societal issues. Protests took place in various parts of the country, including in Baku, from 2011 to 2013. The government in turn reacted with heavy-handed tactics and arrests. Government repression heightened after the 2013 presidential elections, which was met with unprecedented criticism from the international community. International observers were able to glean information from internet-savvy youth activists, investigative journalists, as well as local NGOs, which were targeted immediately after the elections. However, it was obvious that, unlike the aftermath of previous elections when political activism faded away after the prolonged failures of the opposition, this time the momentum of revival did not abate. On the contrary it received additional impetus with the rise of the Maidan movement in Ukraine, by nurturing hopes that under the pressure of increasing social activism the Azerbaijani government will eventually have to change its behaviour, and will give a start to genuine political and economic reforms. Unfortunately, with Russia's takeover of Crimea these nascent hopes were dashed. While the world was preoccupied with Russia’s aggression in Ukraine, Baku decided to reinforce a full-scale crackdown against its opponents to crush its critics. Even the fact that, in May 2014, Azerbaijan assumed the 6-month chairmanship of the Committee of Ministers of the Council of Europe, the very body to promote democratic values, did not mitigate the tensions. In late July early August, in a matter of days, law enforcement jailed the most prominent human rights defenders Leyla Yunus and her husband historian Arif Yunus, young popular activist Rasul Jafarov, and lawyer Intigam Aliyev. 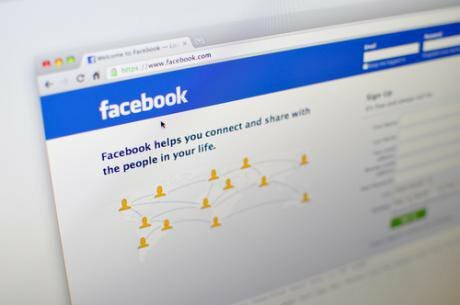 Facebook has dismantled the government's ability to monitor information. Image by Ahmad Faizal via Shutterstock (c)The Azerbaijani government once more “chose its own security over state security. ” While Russia’s aggressive behaviour threatens the very existence of the Azerbaijani state, the regime in Azerbaijan still favours Putin’s authoritarianism, and considers democracy a threat to the regime’s own hold on power. That is why the West, associated with democracy, came under the fiercest attack by Azerbaijani officials. The U.S. and its institutions were chosen as a primary target. This, despite understanding full well that the deterioration of relations with the West will certainly jeopardise the security of the Azerbaijani state in the face of rising Russian aggression. The regime favours Putin’s authoritarianism, and considers democracy a threat to the regime’s own hold on power. Amid an ongoing crackdown in December 2014, the most powerful official, after President Aliyev, the head of his administration Ramiz Mehdiyev, published a lengthy article where he lashed out at the U.S. accusing it of being complicit in the creation of a 'fifth column' to promote 'colour revolutions'. The article actually named the next targets of persecution, accusing very prominent investigative journalist Khadija Ismayilova of treason and called her coworkers in the local office of Radio Free Europe/Radio Liberty spies. The day after this article was published she was arrested on charges of causing a man to attempt suicide. In the last few years award winner Khadija Ismayilova published several investigative reports shedding light on the commercial interests of the ruling elite, and thus enraged the regime. In 2012, she was blackmailed and publicly smeared when a sexually explicit video of her with a boyfriend appeared online. In early 2014, she was accused of leaking state secrets to U.S. congressional aides. Most recently, while under arrest, new trumped-up charges of embezzlement, illegal trading, tax evasion and abuse of authority, with a possible 12-year jail sentence were brought against her. Khadija’s work place was shut down as well. In late December 2014, the office of the Baku bureau of RFE/RL was raided and sealed by law enforcement; and a criminal investigation against the bureau and its staff was launched. Clearly, the Azerbaijani regime intends to secure its longevity by rejecting democratic principles. But bad governance exacerbates the security threats, and challenges the very existence of the state. The eradication of moderate, secular, and liberal democratic voices in a majority-Muslim society will only serve to bolster religious radicalism as a viable alternative. The government in fact echoes the rhetoric of radical voices by attacking civil society and blaming the West for the plight of the Muslim world. The eradication of moderate, secular, and liberal democratic voices will only bolster religious radicalism as a viable alternative. Attacking the West and denying reforms will also make the government vulnerable to external pressure coming from Russia, in particular as Azerbaijan relies heavily on the West to counterbalance it. Yet the Azerbaijani government continues to insist that the West drop its human rights and democracy agenda when dealing with Azerbaijan over energy and security cooperation. The West has already made concessions by disregarding numerous human rights violations in Azerbaijan. But remaining silent not only compromises the West’s role as a champion of liberal democracy and human rights, and impugns its own legitimacy, it also hurts the West’s interests as well. And for as long as the Azerbaijani government feels its vulnerability due to weak legitimacy, it will continue to succumb to Russia's growing demands. It will not be possible to keep Azerbaijan in the West’s orbit if there is no start to the reforms, which need to be made to narrow the widening gap between the ruling elite and the rest of society. Things will be particularly tough for Azerbaijan in 2015 due to the fall in oil production and prices, which will significantly reduce Azerbaijan’s revenue. While oil revenue enabled the government to ease tensions in the past, it admits that this year will be very critical. The year started with a sharp decline of the Azerbaijani currency, the stability of which was a matter of pride for the government during the last decade. Furthermore, sanctions against Russia will affect remittances from Azerbaijani labour migrants there, which will severely impact the livelihood of many Azeri citizens. In addition, there is the unresolved conflict between Azerbaijan and Armenia over the Nagorno-Karabakh region. At least 30 soldiers died in August 2014, when intense fire erupted between the two sides. Russia’s involvement in the conflict makes the region even more insecure. For these reasons, it is imperative for Azerbaijan to maintain good relations with the West; and for the West in turn to urge Azerbaijan to initiate democratic reforms, in order to protect its own interests and allies in the region. Standfirst image: President Aliyev at the World Economic Forum in Davos 2015. Image by World Economic Forum via Flickr. All rights reserved.